Satanists are making their way into our schools! 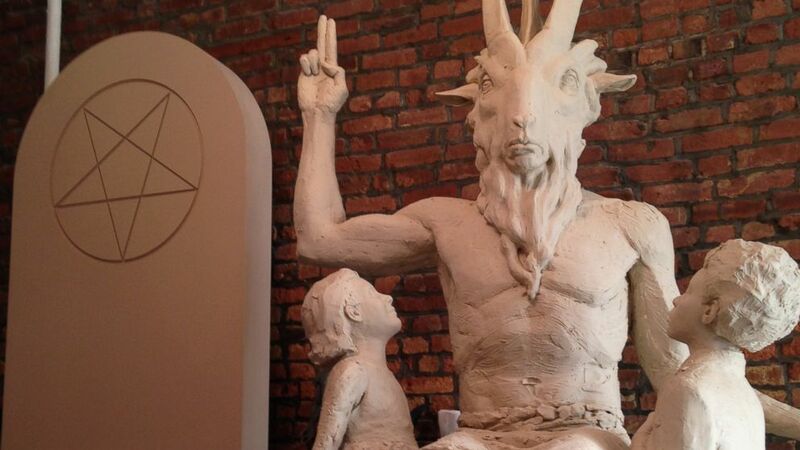 Satanists are out to get our children! Satanists are trying to convert our nation’s kids to the dangerous, infective belief in critical thought… oh, the humanity! This isn’t an exaggeration: The Satanic Temple (TST), a New York-based anti-supernaturalist organization, has recently been doing the good work in Florida schools, one of their numerous spiritual battlegrounds. After a Christian group received permission to distribute religious information and Bibles in a Florida school district, TST quickly submitted “The Satanic Children’s Big Book of Activities” for distribution as well. After all, it’s only information about another form of worship, and it’s only fair. Part agitprop political movement, part takedown of fundamentalist religion, part critical thought zeitgeist, The Satanic Temple is leading the charge in the fight for reason, compassion and benevolence. Forget all you think you know about Satanism. Forget ritual sacrifice, or bathing in virgins’ blood, or child kidnappings. After all, those images, says TST leader Lucien Greaves, are just something someone else wants you to think. This turned into a kind of career that found him challenging psychology professionals over the bogus practice of repressed memory recovery that often, conveniently, leads patients to believe they’d been abused by Satanic cults, or abducted by aliens. Through his research, Greaves began to make connections with people involved in Anton LaVey’s foundational Church of Satan, an American-born movement that encouraged individualism over theistic or supernatural belief. “The more I was able to understand the mythology of Satanism and where these claims were coming from, the more I was building my critical thought processes as well and moving away from mainstream religious thought,” Greaves says. The Temple itself took hold less than two years ago. What started off as a film project by a couple of Greaves’ friends and associates hoping to explore religious pluralism and what it means to be a part of the dissenting voice quickly became more than that. Greaves was consulting on this film and another TST project when they became involved with a mock-protest in support of Florida Governor Rick Scott who, early in 2013, was signing a bill that would essentially allow prayer (euphemized as “inspirational messages”) at public school assemblies and sporting events. The Satanists, of course, were all for it. After all, they were eager to get their own messages into these prayers. Again, it’s only fair. He knew from the kind of support they were seeing that this went beyond a film project. These were the beginnings of The Satanic Temple’s extensive work, which generally sees itself in a bizarre symbiotic relationship with fundamentalist religion. Wherever the Christian right demands special privileges, The Satanic Temple is sure to be right behind them, advocating for the same privileges for themselves and all other religions, like the Scott rally, or the Satanic Children’s Book of Activities in Florida schools. They also gained some notoriety for performing Pink Mass over the grave of late, anti-gay Westboro Baptist Church leader Fred Phelps’ mother, ritualistically turning her spirit gay. The Detroit Chapter, just one of the many North American TST chapters that are popping up, is headed by Jex Blackmore. Like the appeal to the LGBT community, in an age where the religious right is increasingly claiming authority over women and their bodies, The Satanic Temple is there standing up for the individual’s autonomy. Blackmore has been one of the many in Michigan campaigning for reproductive rights, which are increasingly under fire in her state, and in many other places. Beyond these new chapters Greaves says that they’re keeping the process open and easy for becoming a member, and people are signing up every day. The e-mails are more than they can keep up with. So next time someone starts screaming about threats to children, and our society’s values, here’s hoping the Satanists will be there, an activity book on one hand and a benevolent, compassionate open palm on the other. Hail Satan.